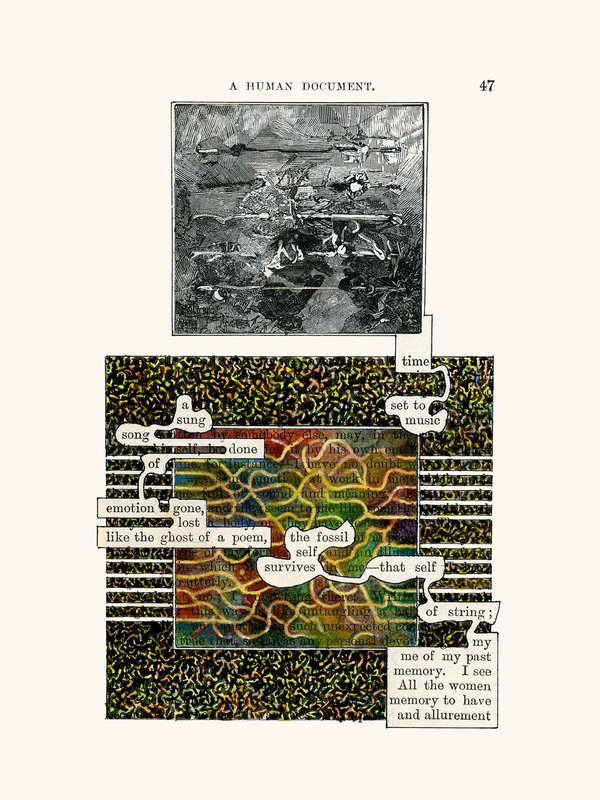 A Humument by Tom Phillips is, in the words of Marvin Sackner, co-founder of the Ruth and Marvin Sackner Archive of Concrete and Visual Poetry a ‘visual-poetic artist’s book,’ a found novel whose every page has been altered by the artist through painting, collage, drawing, cut-up techniques, and even burning. The result is art, but it is also poetry (concrete, found, haptic), narrative, autobiography, oracle. 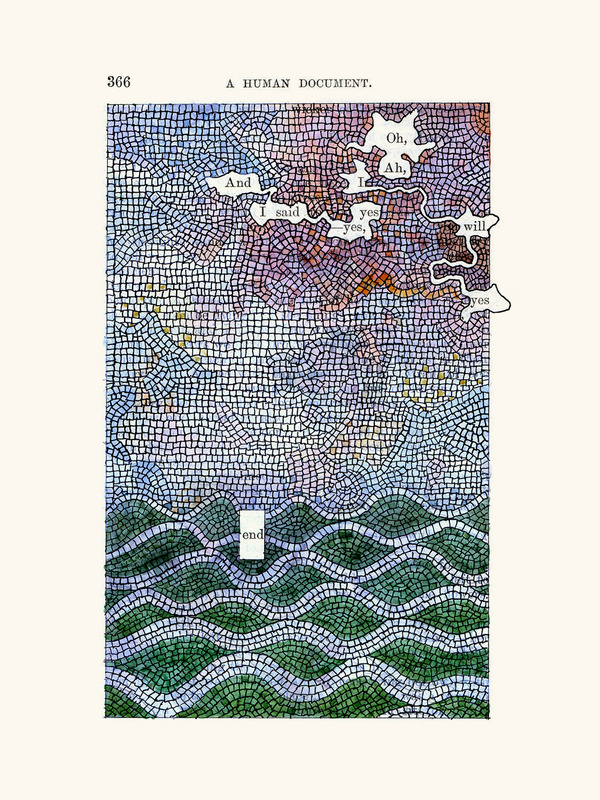 This ‘strange, beguiling work,’ as Adam Smyth calls it, is all of this and more owing to the erudition and humor of its immensely gifted and indefatigable creator. And, importantly, it is also a work in progress. 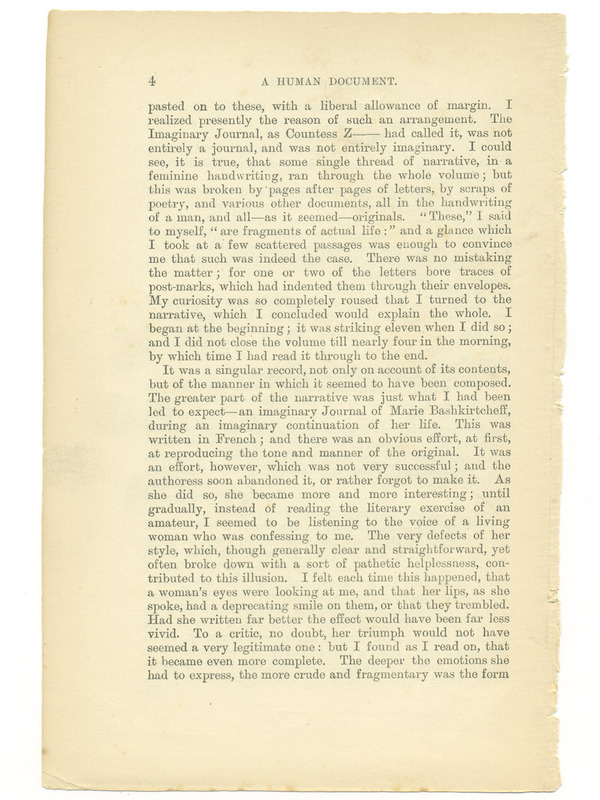 Since the artist has been at it now for nearly fifty years (Phillips first procured his source material, having decided to use the first book he could find for threepence, W. H. Mallock’s A Human Document in 1966) it is arguably in contention for being the work of longest duration by a living artist (or perhaps any artist living or dead). 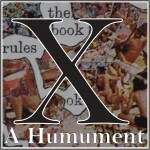 Initially published in 1973, the latest version and fifth edition of A Humument was published in 2012. In it the work of revision continues with second versions of most of the pages. 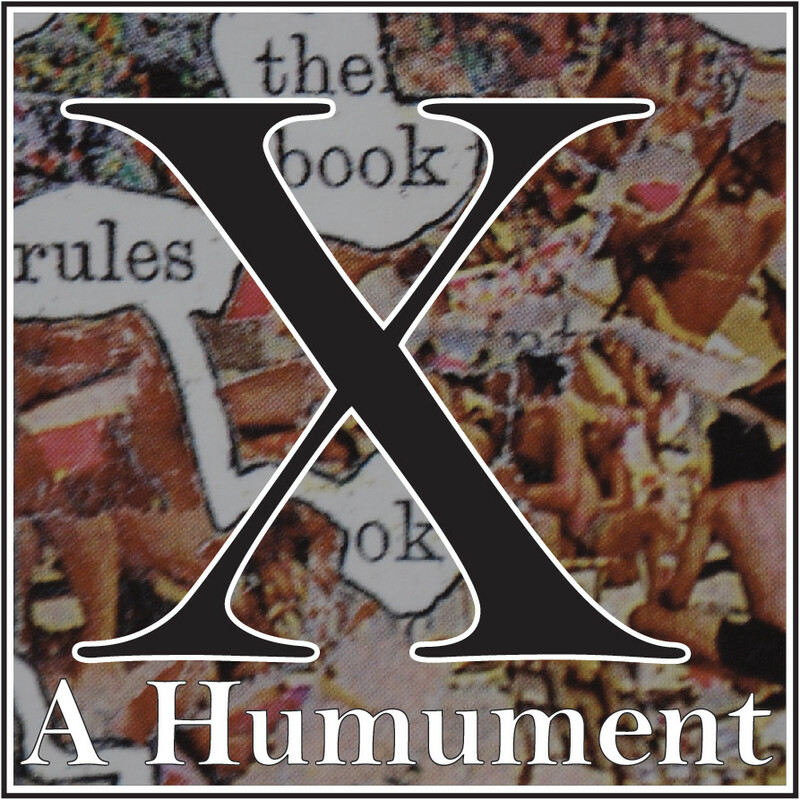 A Humument is also available in formats for iPad and iPhone, as well as a modified audiovisual version housed in a USB device. A perennial favorite, it has collected dozens of affirming articles over the years, some quizzical, some fawning, and some particularly intelligent and discerning such as Smyth’s from the London Review of Books and William H. Gass’ from Artforum (My own admiration for Tom Phillips is no secret. I have previously written about him and interviewed him here.). 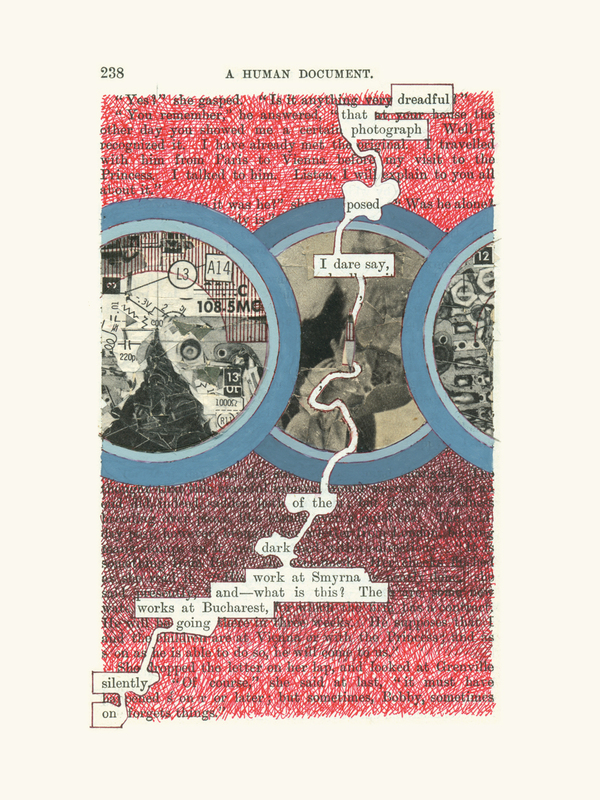 In some ways, A Humument is one of the most canonical and visible works in the field–perhaps the most visible. Phillips’s genius is in his graphics: the graphical imagination and inexhaustible invention of his intervention in the pages is fantastic. 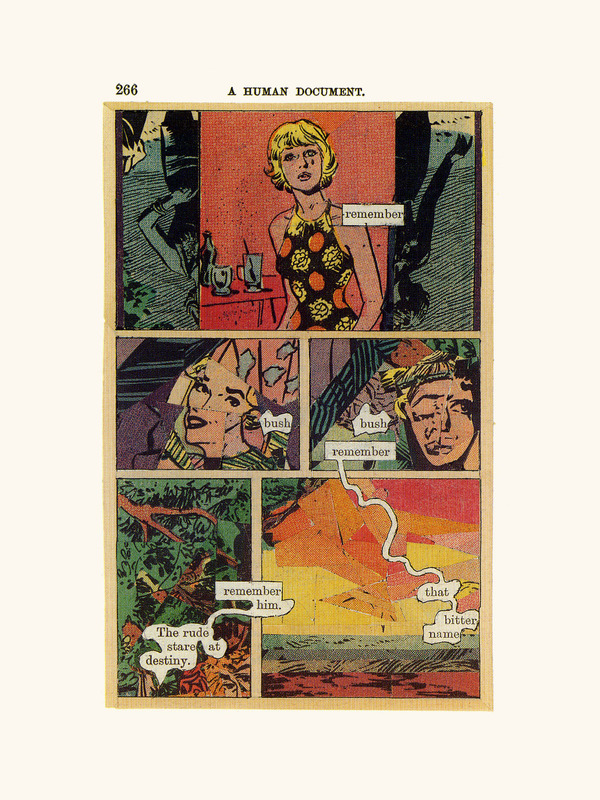 He plays with every trope of illustration and illusion, of textual reference and bibliographical construction, and he has a great sense of color and design. 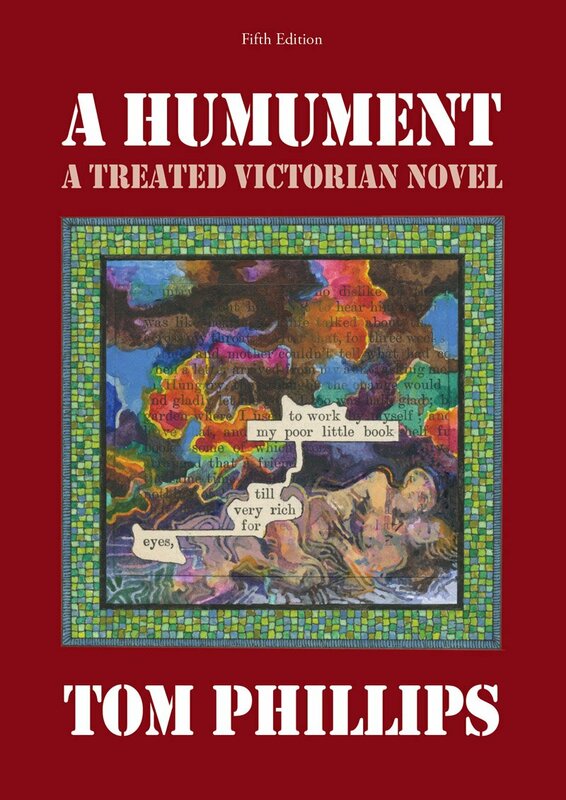 A Humument is absolutely his most compelling and public work, and for good reason. It is both a conceptual piece and a wonderfully executed work and will stand the test of time, I think, as an engaging and virtuosic exercise de style and demonstration of invention. 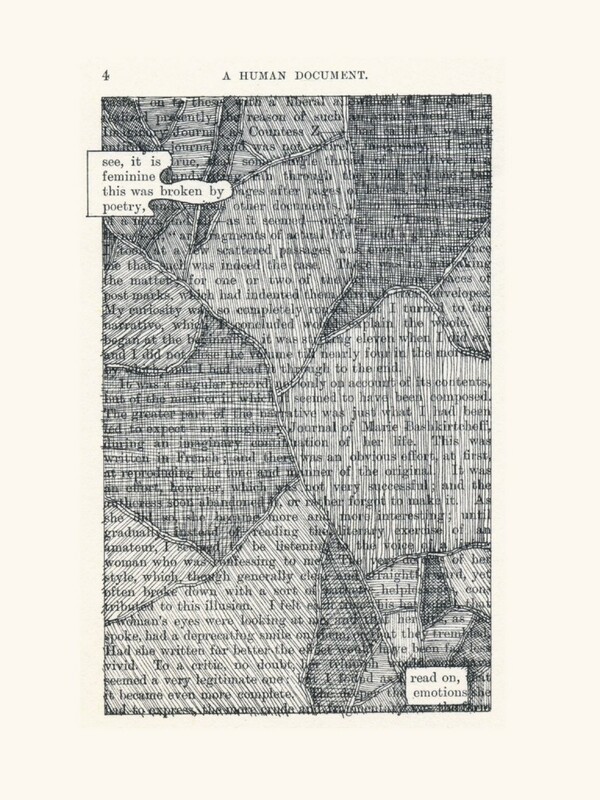 Other artists have worked in the altered book format. Many have done more sculptural, spatial, or physical transformations. 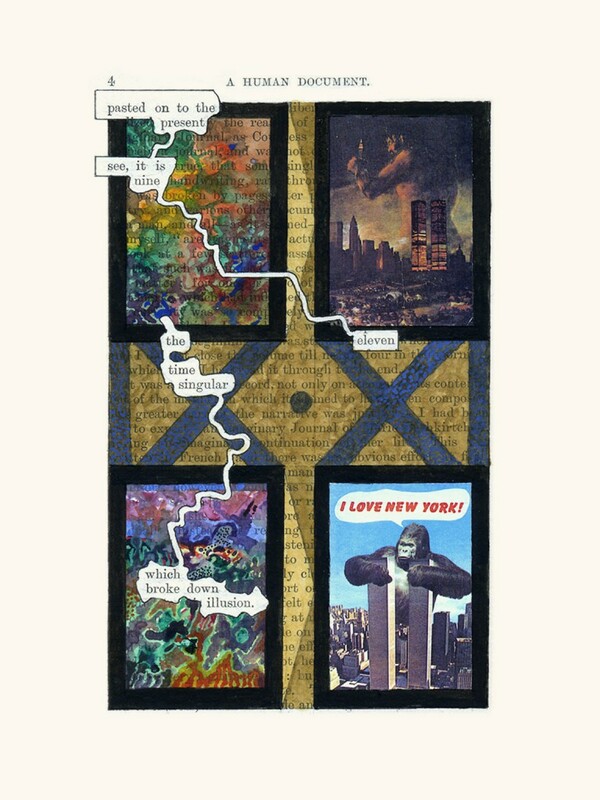 Many artists have cut, painted on, or otherwise made use of found books. 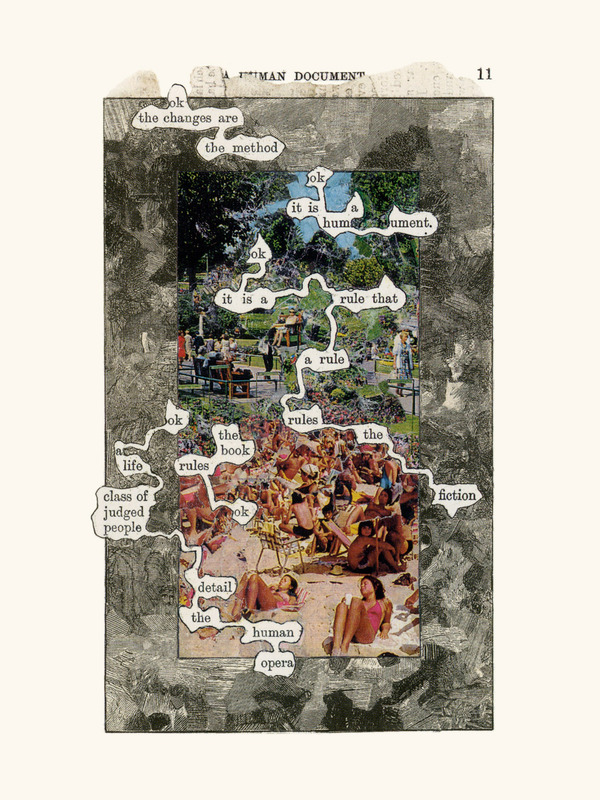 So, in some ways, the elements of Phillips’s project–an excised text, altered book or pages, and painterly transformations– all connect to other strains of book art. This doesn’t take anything away from Phillips’s work, or its originality, but does situate it within a set of practices of which it is a part. A high-resolution .tif of page 4 is here (Alternately, you can use the lower resolution .jpg here). 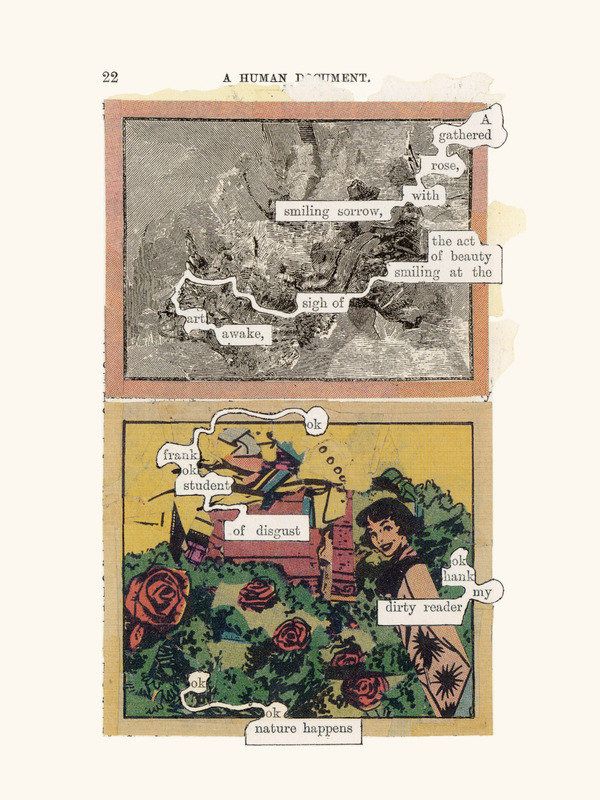 The winner or winners selected by Tom Phillips himself will receive a limited edition Humument screenprint signed and editioned by the artist. Entries must be received by 10 May 2015 11:00PM GMT. 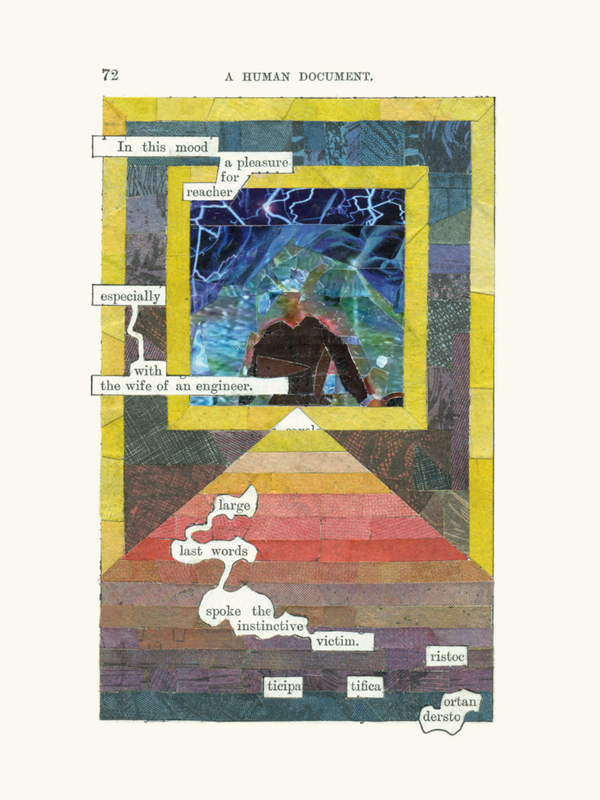 See Humument Contest Brief for more information. Many, many thanks to Tom Phillips and Lucy Shortis!